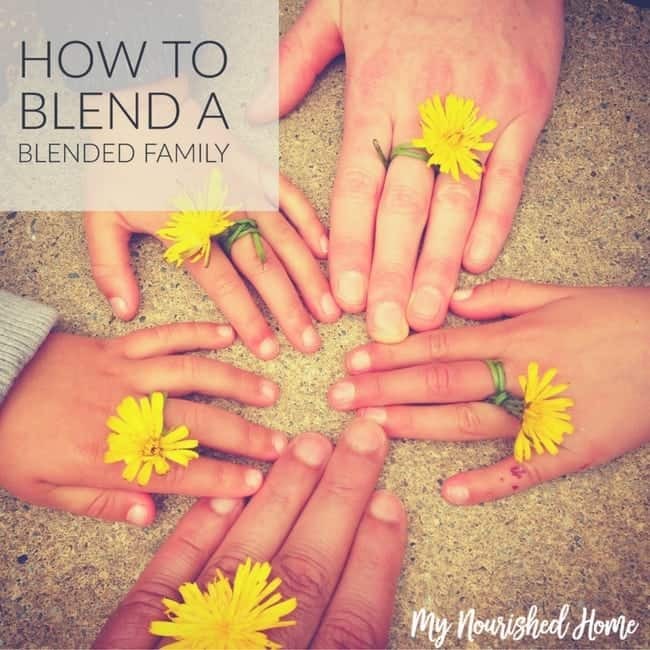 Blended families come into being for lots of different reasons, but the truth is, when you are building a new family it is often best to leave the conventional thinking behind and focus on the family in front of you. I am not a therapist or a doctor – just a mom in a happy blended family that has made it work. In fact, we’ve been a blended family long enough – and with enough success – that we never thought of ourselves that way until someone asked us to write about our experience. The first official rule of making a happy blended family is to marry someone who loves your kids. Or if you are the solo party, marry someone who’s kids you love. I don’t mean like… even like a lot… I mean love. LOVE. When I was a kid, my dad would always tell us that Love is a Verb. Not a Noun. I heard it (a lot!) but I don’t think I really got it until I had my own children and met my husband. Love is an action, it is choosing to do good for another person in spite of it being hard or messy. I presume that if you want to marry someone, you already love them. But do both adults LOVE (the verb) the children that will be part of the new family. Both adults have to be willing to do good for the each other and the children of the new family, even if they are related by choice instead of biology. When my husband and I decided to marry, we took our time talking about issues we might face and how we would want to handle them. The very first thing we decided is that we would not allow labels in our family. We took a hard stand on terms like half-anything, or step-someone, or allowing well-meaning family members to talk about our second child as our first child together. We had our first child together the day we married. We introduce our 3 children to new people, not our 2 biological children and an extra. In fact, the whole idea that someone could consider our children less than full members of our family is completely unacceptable to us – it is insulting to us and disrespectful to our children. We do not allow people in our lives who want to draw lines around parts of our family instead of the whole. We’re a package deal. In fact, the whole idea that someone could consider our children less than full members of our family is completely unacceptable to us – it is insulting to us and disrespectful to our children. We do not allow people in our lives who want to draw lines around parts of our family instead of the whole. We’re a package deal. There are rules in our house, just like any other. One of them is we spend time together. And we take family time seriously. There is a wide age gap between our 3 girls and we all recognize that they have less time to form a sisterly bond. We have less time together as a whole family under the same roof. We facilitate activities that our 3 kids can actually do together and enjoy… not easy when they are 4, 6, and 17! But our oldest is an amazing artist, so we encourage her to draw with her little sisters. And they LOVE that time with her. They take care of our pets together. My oldest runs cross country and her little sisters try to keep up and work out with her. They also all love the beach so we vacation there together. A quick note, limiting electronics is a fast acting way to get all kids of any ages to spend more time together! If you want your kids to spend more time playing together instead of apart, put away the phones, devices, and television remote. They will stare at each other for half an hour, then they will get creative! It took time for our kids to bond. It was a big shift. Often we would get advice not to push things. We totally ignored that advice and pushed anyways. It was from a place of love, but we chose to parent our children and set an expectation that we were going to be a close, respectful, loving family. 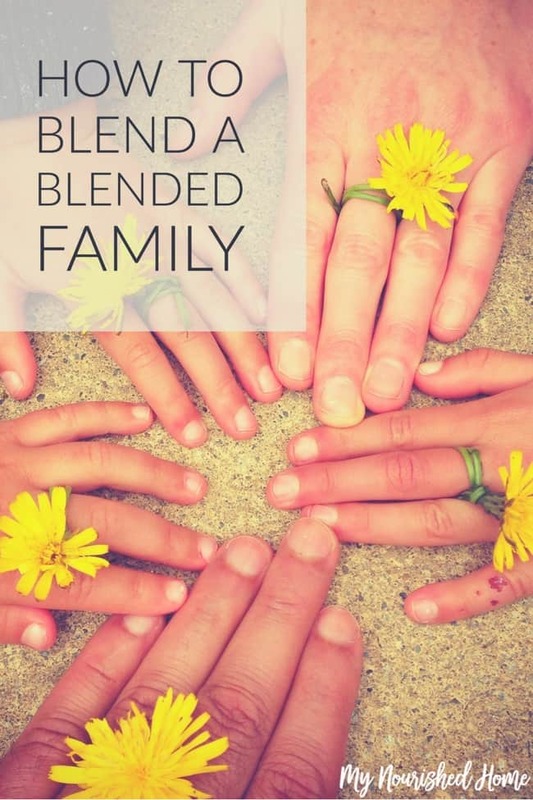 There are so many elements that make up a happy blended family. These were the 3 that were massively important to us along our journey. Tell me about your experience in the comments. Or join is in our Facebook Group Simply Home and tell us there.